In our last post, we talked about the Active Directory Administrative Center in Windows Server 2016. ADAC is a great way to interface with Active Directory with a task oriented GUI interface. One of the things we can do from the ADAC interface is turn on the Active Directory recycle bin feature for Active Directory. Active Directory Recycle Bin makes it much easier to recover accidentally deleted objects over legacy reanimation of tombstoned objects. 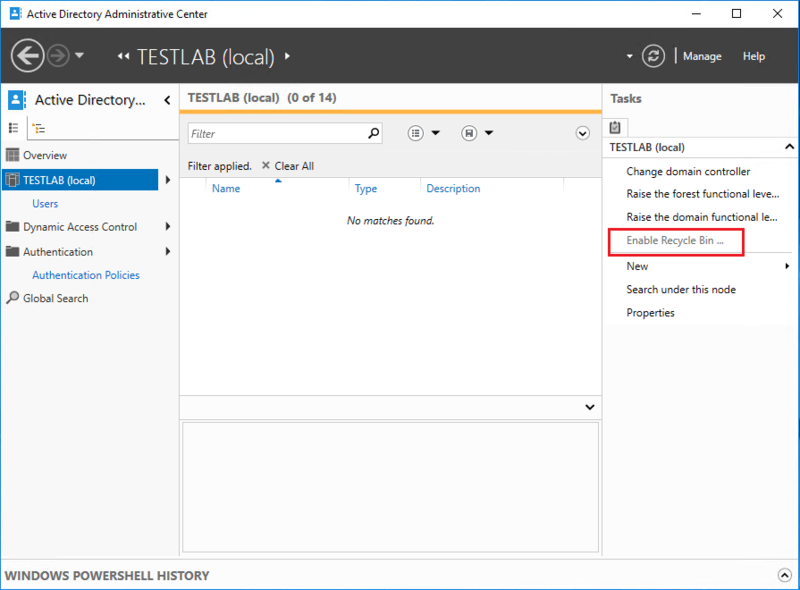 Let’s take a look at how to enable Windows Server 2016 Active Directory Recycle Bin using ADAC as well as PowerShell. Before thinking about enabling the Active Directory Recycle Bin feature, you need to be a member of the Enterprise Admins group to successfully enable the option. 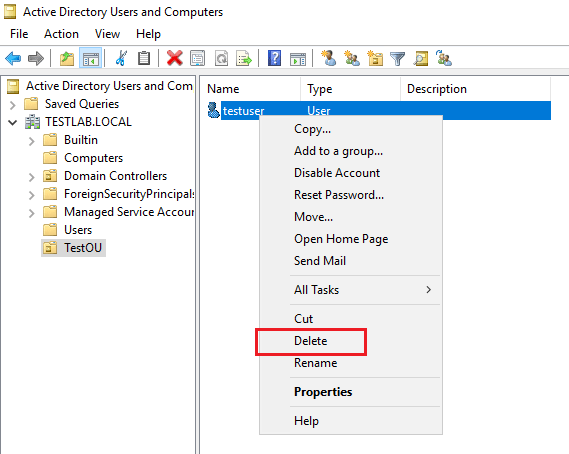 Let’s look first at doing this using the Active Directory Administrative Center or ADAC to enable the recycle bin. To launch ADAC, simply type dsac.exe. Notice over in the right hand column the Enable Recycle Bin link. Once you click the Enable Recycle Bin link, you will see the warning about the gravity of what you are going to do. This operation is irreversible, so you can expect to see such a warning. However, the AD recycle bin is definitely a worth feature to enable. After enabling the feature, you will see the notice that the process to enable the feature has begun. Replication of course will need to replicate this to all the DCs in the forest. After you refresh the ADAC interface, you will now see the Enable Recycle Bin link is greyed out. You also receive the notice in PowerShell to confirm the action. I have created a testuser account in a TestOU container. Let’s simulate an accidental deletion. As you can see, I am about to delete the testuser account. As expected, I see the testuser account. The object is restored in PowerShell with little fanfare. 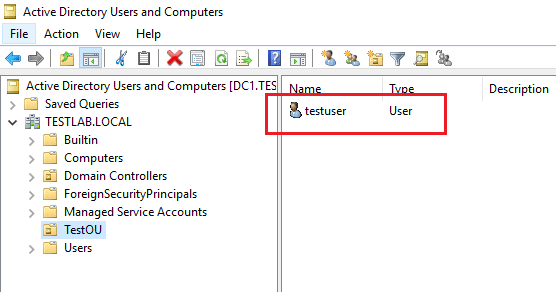 A quick refresh of the ADUC interface once again shows the testuser object. The process to enable Windows Server 2016 Active Directory Recycle Bin is very straightforward. In this example we took a look at using either ADAC or PowerShell to enable the feature. Both methods are easy however, some may prefer the graphical interface over the PowerShell commandline.